Apple will be working closely with the Food and Drug Administration on future products related to the health industry, according to new information provided by the government. Back in January, The New York Times reported that Apple had met with the FDA to discuss “mobile medical applications.” The talk was believed to center on the company’s rumored plans for health-tracking software in iOS 8 and maybe even the iWatch. 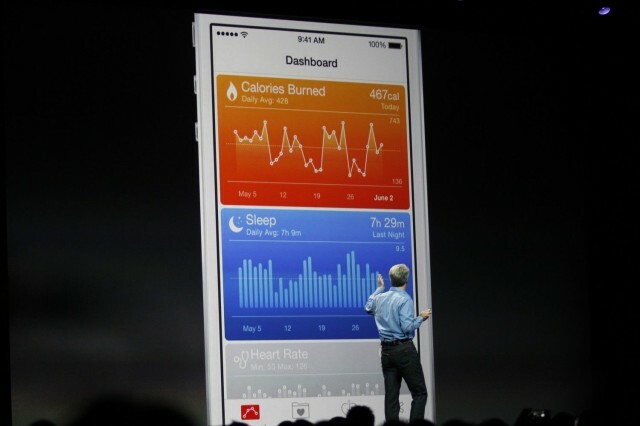 HealthKit and the new Health app were announced at WWDC last week, and an iWatch announcement is expected in October. Now more of the details from Apple’s meeting with the FDA have been disclosed. Apple said it may have a “moral obligation” to do more with health-related sensors on mobile devices. Apple Toolbox submitted a Freedom of Information Act request with the FDA in an attempt to learn more about the meeting three months ago. The FDA has finally responded after Apple’s related announcements at WWDC. Although devices like the iPhone already have sensors like accelerometers, Apple sees there still being “opportunity to innovate” in the field. Moving forward, “Apple wants to make sure they are on the side of the FDA,” according to the meeting’s memorandum. Apple has reportedly been hiring experts in the medical field and working on special sensors for monitoring things like blood glucose levels. With something like an iWatch that could be marketed as a tool to help diabetics, the FDA would likely have to review “the software that puts the sensor to use.” So actual iWatch hardware would not have to been seen by the FDA, but the software that’s used to read its sensors would. During its introduction of HealthKit and the Health app last week, Apple said it was working with the Mayo Clinic to let doctors use HealthKit to help advise patient treatment and medical care. As Apple continues to grow its presence in the medical arena, it will want to have its technology approved by the FDA.